Ecstasy, methylenedioxy-methamphetamine or MDMA, is well known as a recreational drug today, but its first use was as a therapeutic aid for couples attending marriage guidance counselling. LSD, the potent psychedelic popularised by the counter-cultural movements of the 1960s onwards, and psilocybin, found in hallucinogenic mushrooms, have also been studied for their potential in treating post-traumatic stress, depression, and alcoholism. Strict drugs laws make it difficult to research these psychoactive drugs, and clinical research typically lags behind the bold claims of advocates. Ketamine is another drug with a recent history of recreational use, but as it has a longstanding legal pharmaceutical use as an anaesthetic, it is available for research and has in recent years been examined for its anti-depressant effects. Ketamine, originally called CI-581, was first synthesised in 1962 and patented for use as an anaesthetic in humans and animals four years later. The drug was used as a battlefield anaesthetic by US forces during the Vietnam War, and is commonly used by vets as an animal tranquilliser. From the beginning, clinicians noted that many who were given ketamine described strange experiences such as the feeling of floating in space and something akin to an out-of-body experience – described by today’s recreational users as the “K-hole”. But in the past few years, ketamine has been reborn as an antidepressant. Trials consistently show that it reduces the symptoms of depression, often in the 10-20% who have failed to respond to other drug treatments, and in emergency situations, where ketamine can rapidly reduce suicidal thinking possibly for up to three months. Ketamine has also proved to be a safe, effective and crucially, a rapid way to potentially reduce fear, depression, pain and suffering in the terminally ill.
Our own meta-analysis of 21 published trials into antidepressant uses for ketamine leaves no doubt as to the drug’s efficacy as a rapid antidepressant, with consistent reports of considerable effects on tackling depressive symptoms. In people diagnosed with major depression, the benefit occurs within four hours following a single dose of the drug. A comparable pattern of responsiveness has also been found for people diagnosed with bipolar depression. 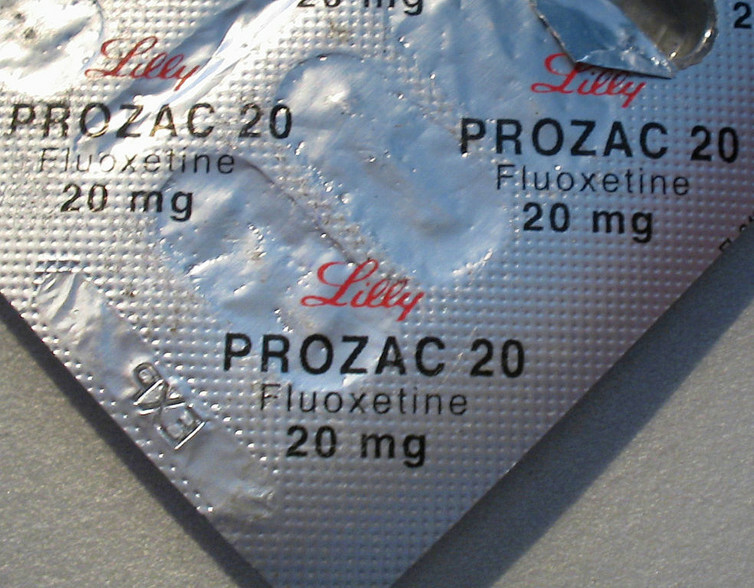 By contrast, conventional antidepressants and psychotherapy may take weeks or months to produce any effect. Such findings have led to ketamine being described as “arguably the most important discovery in half a century”. Despite its promise as an anti-depressant, ketamine as a treatment has been slow to take off and met with scepticism. A new study published in Nature now offers hope that the unpleasant side effects and hallucinogenic effects of ketamine may be bypassed as the team of researchers from the US have tried to pinpoint the underlying mechanism by which ketamine relieves depression. Ketamine belongs to a class of drugs that block cellular receptors for the neurotransmitter glutamate, an important chemical that is the brain’s chief means of activating neurons. Until now, it was proposed that ketamine’s antidepressant effects were produced by blocking N-methyl-D-aspartic acid (NMDA) glutamate receptors. However, questions about the mechanisms underpinning ketamine’s anti-depressive effects remained unanswered. NMDA is largely involved in associative memory and learning, so the link with depression was unclear. Additionally, the beneficial effects of ketamine appear to persist long after the drug has been excreted from the body. This study suggests that a chemical byproduct the body creates while breaking down ketamine may underpin its rapid antidepressant effect. The authors found that this byproduct, or metabolite, called (2R,6R)-hydroxynorketamine, is responsible for reversing depression-like behaviours in mice. But they found it didn’t elicit the anaesthetic, dissociative psychological effects, nor the damage to the bladder that is associated with ketamine use. If this study’s outcomes can be repeated in human subjects, it would mean a massive expansion of the potential uses for the drug, particularly as a treatment for depression. Because the effects of ketamine are relatively short-lived, concerns about side effects, building up a tolerance to the drug, and safety have so far proved a barrier to administering repeated doses of ketamine. This new study goes some way towards addressing those concerns. The prospect of using ketamine or a derivative of it as an anti-depressant is fascinating, especially comparing its effects to psychotherapy or those of common SSRIs antidepressants such as Prozac which can take weeks before antidepressant effects begin to take hold (and even increase depressive symptoms in the short term). But we should not race too far ahead. At present, the antidepressant effects of ketamine have not been examined beyond a two-week window, and this partly reflects the issue of side effects. Until these wrinkles are ironed out, there’s still more work to do before ketamine could emerge as a truly viable mainstream treatment for depression.